With the holidays over, I'm left with a plethora of paper, ribbon, and packaging. So, I thought this would be the opportune time to review Uncommon Cards since it's all about making cards with recycled objects. 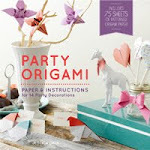 The book features 52 projects to make stationary using found materials combined with sewn designs. 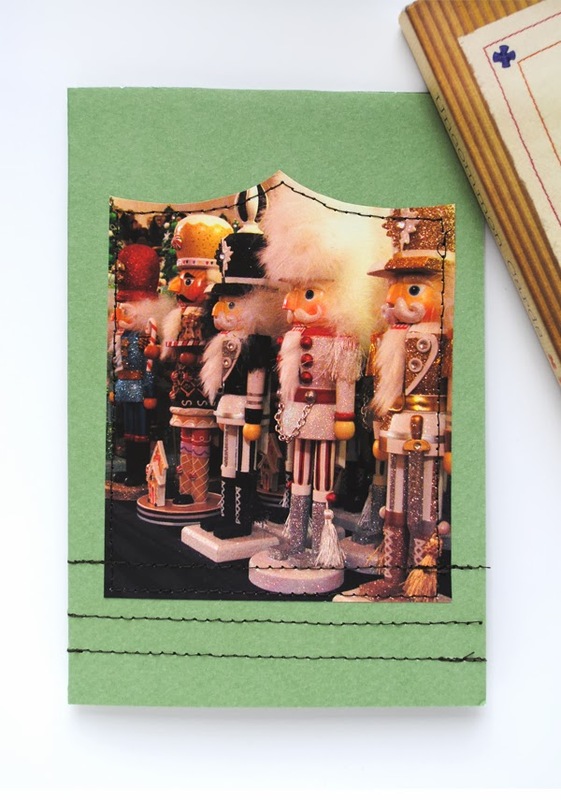 I decided to test out one of the projects with a leftover nutcracker promotion brochure. For the green paper, I used a piece of cardstock that comes with the book. The directions were straight forward and the card was easy to make. This was the project I modeled my card after. The projects in the book are versatile allowing one to add their own style to the cards. One important thing I should point out is that all the cards require machine sewing. The photo above is a good example. 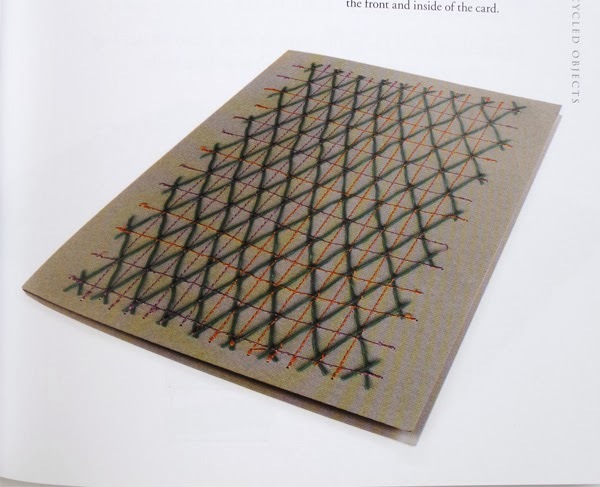 Even though it is possible to hand stitch the cards, I wouldn't recommend it. One of my favorite parts about the book is all the rich textures created from combining different materials and sewing stitches. 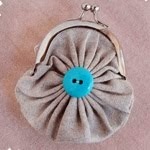 Honestly, has a garlic bag ever looked so sophisticated? 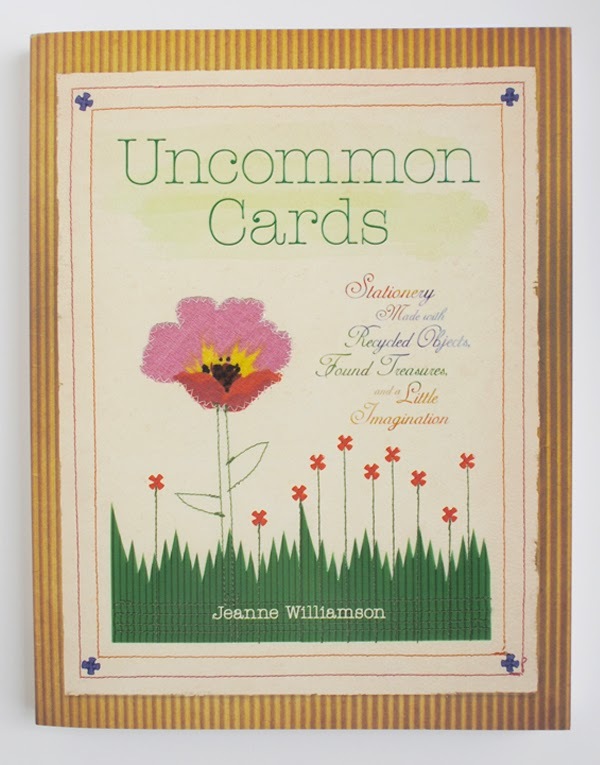 To learn more about the Uncommon Cards, click here. Good post! I love making cards out of found objects. 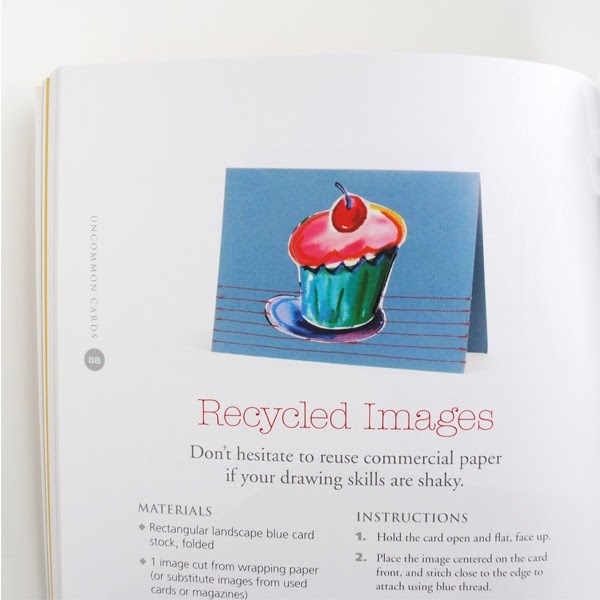 Junk mail, magazines, children's art work, used postage stamps, worn out books... the possibilities are huge! 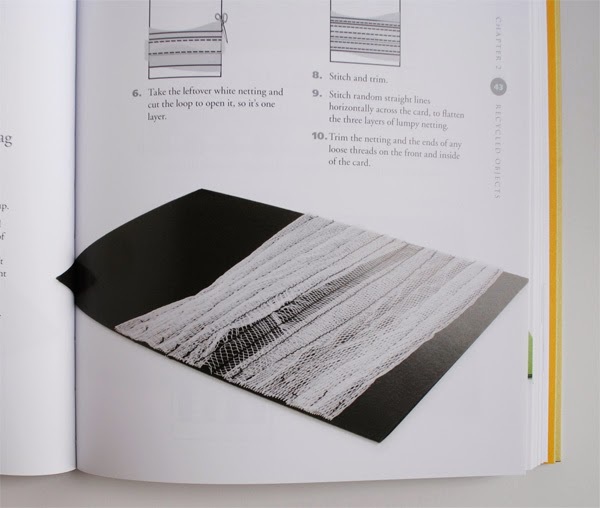 Sewing on cards: Sewing on paper gives a project a whole new look. 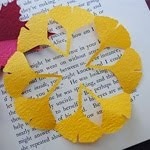 I've used my sewing machine to do that, and also a few years ago I tried hand sewing on cards. There are a few tricks, one of which is to lightly dot (with a pencil) where you want the holes for the stitches. Then lay the open card onto a thick towel, use a large needle and puncture the paper. It's really hard to sew on paper without the pre-punched holes, and it bends the card. Thanks for sharing your card making tips! I'm sure other will find it useful.